For a precise measurement it is important to perfectly position the laser device. There exist different types of adapters and clamps for many application needs. Find adapters for laser measurers. The main advantage of a good tripod is stability, torsional rigidity and robustness. Therefore durability of the tripod is for sure. Further benefits are the minimal horizontal drift and the height stability even under load. A photo camera tripod may be better than working without a tripod. But a specialised tripod has many advantages. 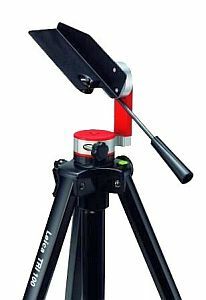 Find specialised tripods for laser distance meters. An important condition for achieving a precise measurement with a laser distance meter is a perfect reflecting target. Different target plates can be used to measure long distances. They can also be fixed at edges, corners or over floor marks. There are other types of target plates which can be used to locate the line or rotation lasers beams. Depending on the field of use you can use for example target plates with magnets that can be of great use in heating, air conditioning and refrigeration. See target plates for LDMs. It can be difficult to see the laser dot or laser line when working outside especially under bright conditions. Special glasses guarantee the best visibility of laser dots over longer distances and for example in sunlight. 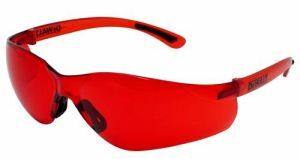 Most manufacturers of laser distance meters recommend the use of high quality special glasses for outside applications. A universal quick charger enables you to quickly and easily charge your empty rechargeable batteries. A high quality charger guarantees also the maximum lifetime of the batteries.